Is it your first time hiring a campervan or motorhome? 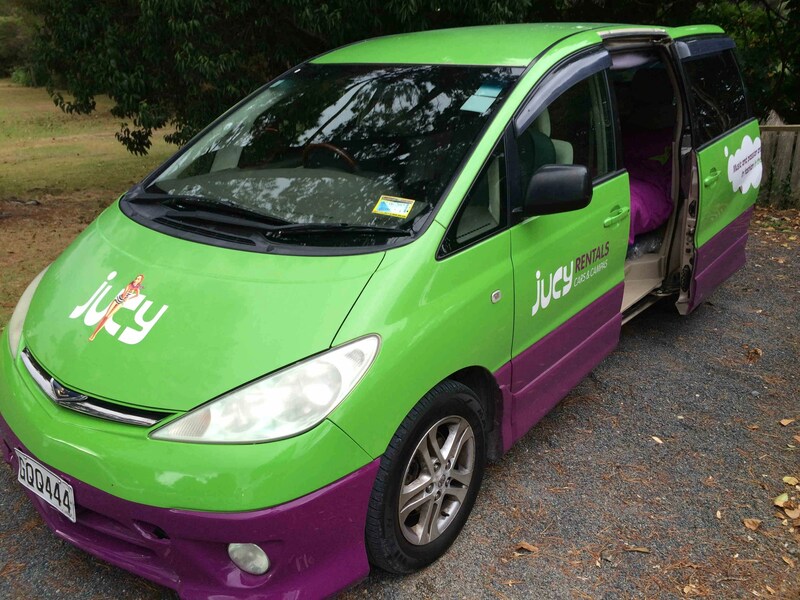 It was for us in New Zealand and it was accomplished in a blaze of colour and smiles in our Jucy Cabana campervan (a Toyota Estima or similar) . If you are thinking of renting a campervan/motorhome then we would like to help you with the boring research and the organising bit, plus lay out bare our successes and failures for you to ponder and utilise to your advantage. So it definitely wasn’t all floral long dresses, gerberas on the dashboard and hippy chillaxing in the campervan and neither did we smell like damp backpackers in leggings and joggers that have not seen a washing machine in 4 weeks… Phew! Mike and I were first timers in the campervan/motorhome world and struck out big with 21 days and nights in New Zealand in the month of March, and we can safely share with you that it was a little of the above and so much more. What Type of Vehicle Should You Hire? There are so many rental companies to choose from. What is the weather for the time of year that you will be whizzing around in your new temporary rental? The sun on your faces all the way, a mixed bag of treats or dare we say it… winter… brrrr. Do you want a vehicle that propels you from A to B and onto C and D in good time with reasonable fuel economy, or are you happy to ease on round your chosen destinations in comfort and luxury but swallowing up the fuel a little more? Do you want to be able to Freedom camp and/or do you want to check into campsites? Do you want your own toilet and shower facilities (motorhome) in the vehicle or are you happy to share showers and toilets on campsites with other happy campers? There is a smorgasbord of choice and quality out there on the road. Do you want to be able to fully unpack all of your worldly belongings into the vehicle when you pick it up from your chosen hire company (that spacious motorhome again) or are you content to spend half an hour each day tidying your travelling shell and tucking your stuff away ready to cover the kilometres – campervan here you come! 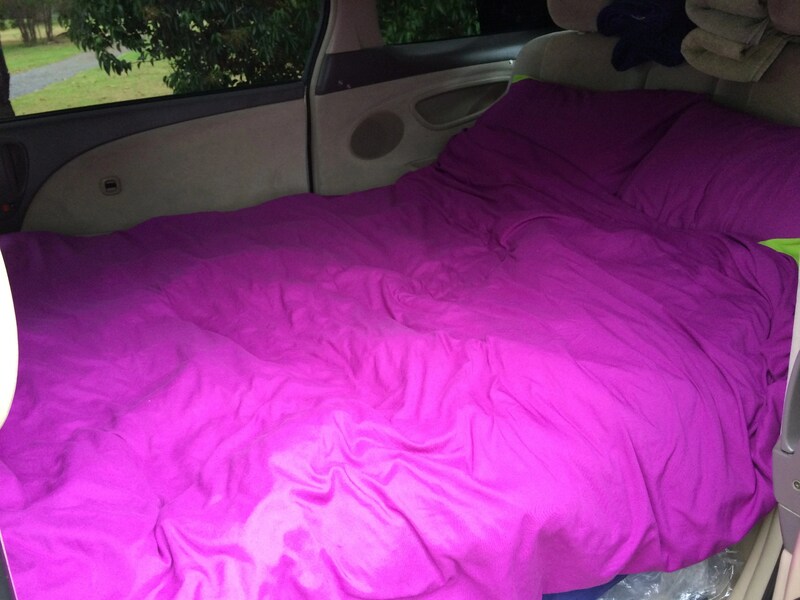 Are you over 5ft 10 and in need of space to sleep and stretch out or are you a mini like me and curling up is standard procedure? Mike is almost 6 foot and we were in the campervan for 21 nights – he lives to tell the tale with his back still straight but there was the occasional moan along the way! Do you want to be ‘real life’ campers and shop and cook for yourselves throughout or are you likely to dine at the local eateries? Whatever your answer, campervan and motorhome can suit your needs but as ever, to varying success. 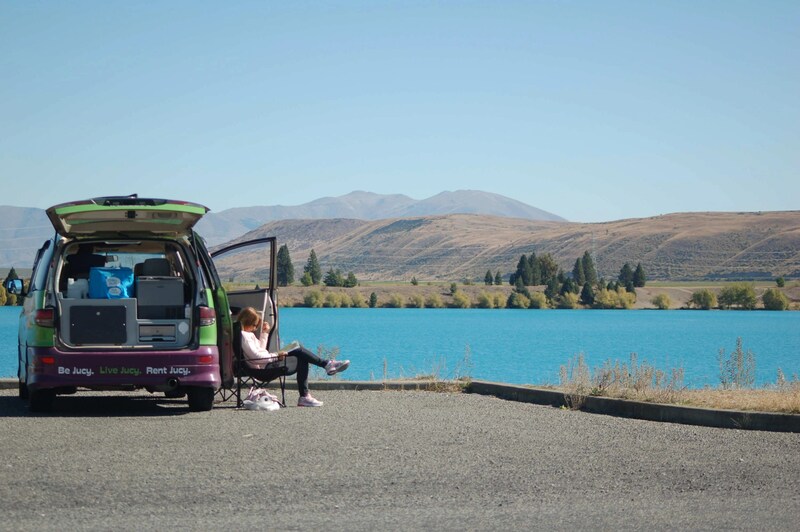 Now you have your basic answers in front of you, read on prospective campers for much more detail, and then you will be all systems go to look at what the different new zealand campervan rental companies have to offer you that suits your requirements within your budget. Aaaagggghhh that dreaded word BUDGET….. WHY???? 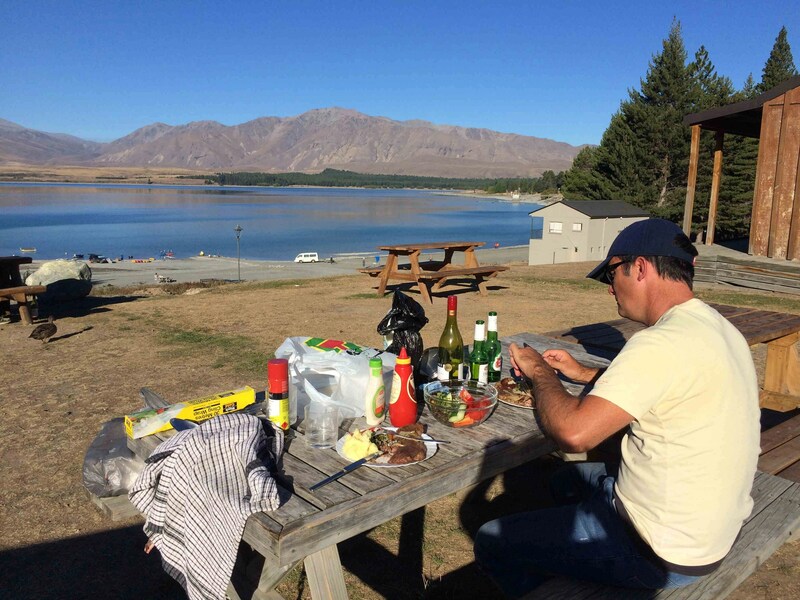 Saving Money on your Campervan rental New Zealand. There are many comparison websites like this, but this one is quite good because you can see them lined up in front of you for direct comparison. Also, don’t forget that there are occasionally discount offer codes out there on the web that you can use when booking with the rental company. We saved 5%, which was a great save on 21 days rental… happy days! When considering these searching questions from above, over a month’s duration in the Cabana or similar would be pushing it in our opinion. The need for more space would have become important to us. Packing and unpacking the bed and suitcases daily would have become a grind. Space is economically worked out in the Cabana and the storage is excellent, but you absolutely cannot unpack your suitcases or backpacks unless you are happy to live with clothes everywhere. You have to use your suitcases as storage and pretty much pack them away at night on the front seats in order to make up the bed and away again in the morning when you want to drive the next stage of your travels. There are oodles of nooks and crannies in the Cabana for storage, which is excellent, but be prepared to spend a little time morning and night on making your Cabana home cosy. Of course, herein lies the bonus of the bigger motorhome; unpack your stuff on day one and no more messing until you hand it back… easy and a must consideration when deciding upon your rental. But of course you will pay a premium for this and when you are on a budget, we believe that money is better spent on trips and excursions, after all that is why you booked the travels in the first place. Like all humans with an in-built nesting instinct, we made the Cabana our home, had places for everything and got the routine down pat – it became part of the fun of camping… Honest! But permanently unpacked suitcases for three weeks, wardrobe and drawers, somewhere to store dirty linen….hmmm very tempting. Well it was late summer/early autumn for us in the Cabana and we were the ‘ever lucky Devitts’ with good weather most of the way. When the weather permitted we would leave the sliding door ajar and stare up at the stars at night, which was an unbeatable experience, it felt like camping without the tent and hard floor. In a motorhome we imagine you would lose some of that once you shut the doors and settle into your temporary existence for the night, but then again you could have a wonderful awning with which to sit under and ponder the night sky, and what a southern sky it is!!! The need for sunshine all the way is imperative in the Cabana unless you are at one with the chilly and damp times. If the weather had been consistently warm to hot, the Cabana would have been absolutely perfect for us. But we were treated to two frosts overnight, which without power and a heater, left us wearing the warm joggers and cuddling like crazy throughout the night attempting to steal each other’s body heat. Mike does not qualify as a human hot water bottle I am afraid. On that note, a hot water bottle would be a must pack for us next time if the weather was going to be chilly in the Cabana. However, the super duper all singing/dancing motorhome would have a heater and for only a few extra dollars a night you can power up (which is not an option in the Cabana style campervan) on a campsite and frozen toes would not be on the menu – lovely! Driving through the rolling green hobbit-like hills, spectacular mountain scenery, lakes and waterfalls beyond your expectations and stark awe-inspiring countryside … this is why you are going to choose a campervan or motorhome for your travels. THERE is NO better way to see it, of that we are sure! If you have decided upon A to B driving with better fuel economy enjoying the freedom of a smaller vehicle, especially when negotiating mountain climbs and tight hillside bends, then the campervan hits the mark. It’s easy to park and uses unleaded fuel. Note, in NZ diesel is much cheaper than unleaded and the larger motorhomes were diesel… food for thought! We have not driven a motorhome so we can offer you no direct comparison, but we have driven behind the larger vehicles struggling up hills. The campervan still gives you the height over a standard hire car when driving and the comfort in the driver and passenger front seats. It’s an automatic (a must in our books), responds if you need to put your foot to the floor to get out of a situation and was a pleasure to drive. So hopefully you clicked on the link above to find about what freedom camping involves, but if not, in a nutshell, you cannot freedom camp in a Cabana or similar because you do not have your own self-contained shower/toilet facilities within the van – a motorhome does… The piste de la resistance is that it is free to camp! Bingo…. freedom style could be your choice of camping. On a freedom campsite there is occasionally a public toilet but often not, sometimes some running water and a dump station on it or nearby. It can look like a layby or car park but can also have amazing views real close to the sea, lakes and such natural beauties. So the Cabana was not for this kind of freedom, but this did not bother glamper hubby and I, as we wanted the campsite facilities. OK we are now going to tell you about an ABSOLUTE MUST application purchase for your smart phone or ipad/tablet. Visit Rankers to take a look and hopefully purchase it if we can convince you? 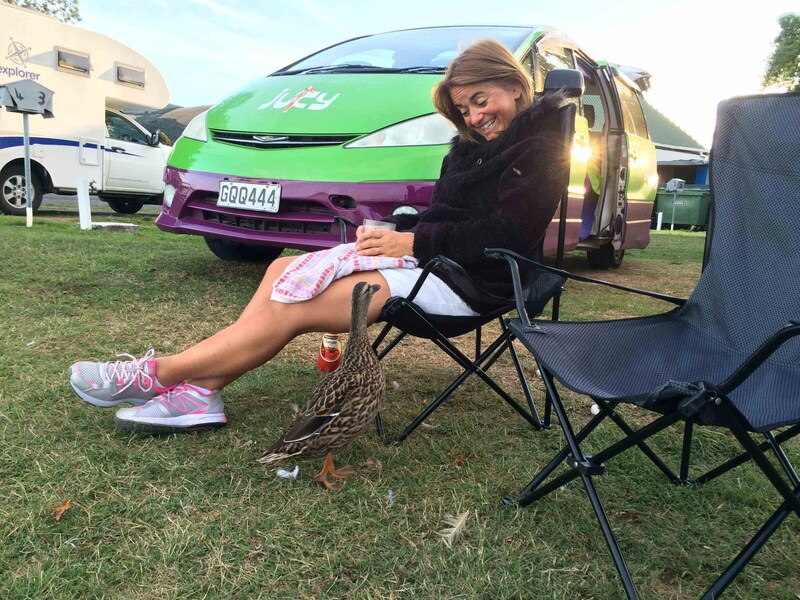 This app is a camping database that’s approved by every council representative in NZ. If it shows on the app, you’re allowed to stay, so you can relax and enjoy your travels. Camping NZ features Offline Maps, so you can find all camping locations, free of restrictions from NZ’s internet and it gives you Freedom! However, the Offline Maps are detailed files that take time to download. Use a Wi-Fi connection at home before you travel and download them all overnight as it is a 750 mb download so make sure that your device has sufficient storage. Plus ensure that you quit the app whilst not in use as it rinses the battery faster than it can charge. It details freedom campsites, campsites in the 10 to 20 dollars per person per night zone, Department of Conservation (DOC) campsites and holiday parks. Having used this app to choose every campsite that we stayed on, it served us brilliantly about 95% of the time. Always look at the reviews (included in the app) from previous campers, as they were very good indications of what you could expect on the whole. We chose the 10 to 20 dollars per person per night campsites (a different one every one of our 21 nights) and there was almost always good showers and toilet blocks, free gas BBQs, well equipped clean kitchens, laundry facilities, often lounges and wi-fi. Note, although we almost always had to pay a little extra for access to the internet (averaging 5 dollars a night) it was an essential deal breaker for us. If you are travel blogging and/or want to keep in touch via Facetime and Skype with the rellies and friends thousands of miles away then every cent is well spent. This was important to us but others may want to escape the ties and reminders that go hand in hand with wi-fi. If you travel outside of peak season, you don’t need to book campsites in advance, you can be real easy going about it and turn up as and when, or if this a little to bohemian for you then give them a quick call on route. Even if you arrive at a campsite after office hours, find a pitch and pay them the next morning as you leave. 99% of campsites are 10am check out. Sharing toilets and showers comes with its own potential hazards. My fussy side kicked into overdrive at points as I didn’t like anything that wasn’t really clean. I love piping hot water for a shower and the need for power for the hairdryer and straighteners was a must. Mike and I did not get this in every campsite, and you know what, we coped of course. You get the hippy head on, play some tunes in the van, wack up the heater in the van first thing in the morning and all is well with the world again. It only takes a stunning view (a daily occurrence in NZ) and the mini groans melt away. Ah but when the sun is out and the flowing dress is on, I smiled at my gerbera and hummed 70’s tunes to myself…. Question 7 – Nearly there! Yup Mike could never stretch out fully once we had made the bed up. The bed is reasonably comfortable and the bed linen, duvet, pillows and towels are provided. It’s a really cosy set up in the Cabana for the night with the roll down blinds all around and subtle (romantic… maybe not in the Cabana) lighting run on the back up 12-volt battery which was cool. Stick on a DVD – oh yes it has a drop down DVD player conveniently placed for perfect viewing when the bed is made up or when sitting on the back seats. Little aside note here, if you turn into campsites for the night many of them have DVDs that they will hire out to you for a very small sum. During the daytime, lack of space in the Cabana meant we sat outside on our camp chairs and enjoyed the scenery instead of snuggled away inside, which would have been the option we would have taken if we had hired a motorhome. In hindsight, we are glad we didn’t go for the motorhome… we would have poofed out and spent much more time inside with the luxury. There is a picnic table in the Cabana for use when the bed is not up, which we never used because of the outdoors option, but again a nifty set up using the back seats as chairs seated at the table. If it had rained more it would have been a place to eat our dinner sheltered from the elements, but to be honest with you, the campsite kitchens and indoor and outdoor living spaces were better. Of course the motorhomes come with picnic tables and chairs for outside, so if you are the outdoor type (and I think you need to be if you are considering camping) then the motorhome would provide the same options as the campervan. Question 8 – Is it time to make another cup of tea yet? 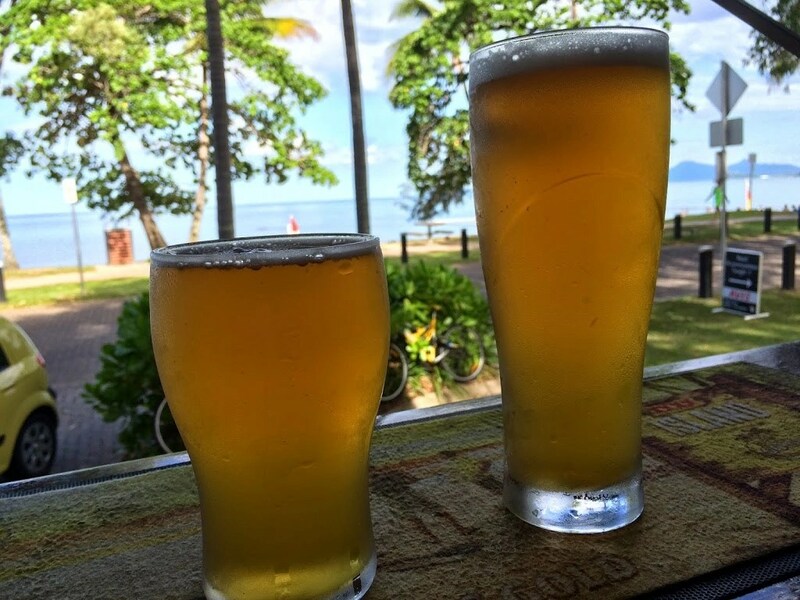 – So while cradling the cup of tea made on the stove of the Cabana or the bottle of beer chilled from the fridge/cooler box installed in the van, all was well with the world. Can you match this as you simultaneously look out over the lake right next to your campervan or motorhome? Who needs a five star hotel then, you can’t beat it we promise you. Add to this the fact that every campsite we visited had a free gas BBQ, picnic seating and the BBQ utensils required to throw together a feast. If you have the weather for BBQ fill your boots up. I saw bacon and eggs for breakfast being cooked on the barby, stir frys and of course the usual fare of meat and fish… You cannot beat it and more often than not, with an unsurpassable back drop while your partner chefs it and you drink the obligatory glass of wine sat at the picnic bench…. happy days. It is supposed to me sitting with the glass of wine! Forget using the little gas stove to cook in the Cabana, it is not an option. We tried to fry an omelette one night, simples you say, but 20 minutes later and still runny eggs. The one-ring stove is OK for boiling water or heating something up in a pan but it ends there. We are quite certain that herein lies the huge advantage of the motorhome with a fully-fledged, ‘up to the job’ kitchen. But folks don’t forget, there are good kitchens on most campsites and plenty of people in motorhomes who also use the campsite facilities. There is a flow through this post isn’t there: whether you want to pay out for campsites (then the campervan is most excellent) or have the option of freedom camping in the motorhome. Ah there is so many contrasts and similarities with the good and not so good accompanying them both along the way. I hope this has lit up the journey a little. We have done some maths you know, an excel spreadsheet is very useful. We don’t think it’s cheaper to rent a campervan, take out the insurance, pay the petrol/diesel and pay for campsites… Nope! There are other great options out there like AirBnB and the obvious budget lodges, motels and guest houses. Even with a hire car to get you about it is cheaper than the campervan rental. But here comes the big BUT… There is no better way to soak up a country, to embrace its culture, to see, feel and smell what a place has to offer. It reminds you constantly of what we can live without, how we can de-clutter and be totally satisfied. A great view from a hotel room definitely has its merits, but it’s a view you take in for a few minutes and then you begin or end your day. You live the day and night in a campervan/motorhome, you are in it and not the other side of a window or balcony, not cocooned in the air con. We have not cobbled this blog together (blood, sweat and tears) to convince you to camp, but only to help you give it the serious consideration it deserves. When researching the various rental companies, read the terms and conditions about what is included and the insurance of the vehicle. If you cannot afford to have a 3000 dollar pre-authorisation sitting on your credit card (take out an interest free period credit card for your travels) for the duration of your travels, then take out an annual worldwide excess reduction insurance at about £50 instead of being ripped off by the hire companies with their own daily and very, very expensive excess reduction insurance. This one is a minefield of information so click on this link to read a excellent article in The Guardian. It is about car hire but the exact same pitfalls and advice is appropriate for hiring a campervan/motorhome. When you first fill up with fuel grab a discount card from the cashier and get money off your litres as you travel. Stir fries, fresh bread, cheeses and fruits are cheap and healthy or downright comforting… Who needs starters and deserts in a restaurant and £50 later for a meal for two, it really does get boring, just have one every now and again and then it becomes the treasured treat you deserve. You lose weight (if that’s a bonus for you) because you are active, outdoors and living it, Mike’s food baby belly practically disappeared and trust me we did not go without. Wine and beer were a pleasant companion throughout our travels and ever present in our cool box. Crack open two beers as you pull up at your camp spot, toast the beauty around you and then set up base for the night, we loved it! It turned out that 21 nights and days in the Jucy Cabana campervan was just about perfect for us. 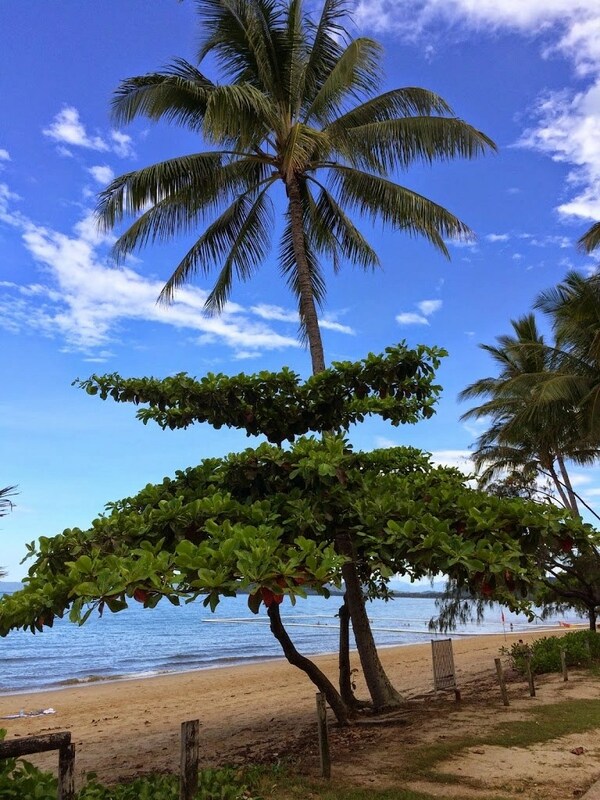 But then we also recognise that as our travels neared an end, our mind-sets changed because we were going home to the luxuries and comforts of a house and we could only recall the ‘roses in the garden’ when reminiscing about our Cabana. We fell in love with our Jucy immediately. 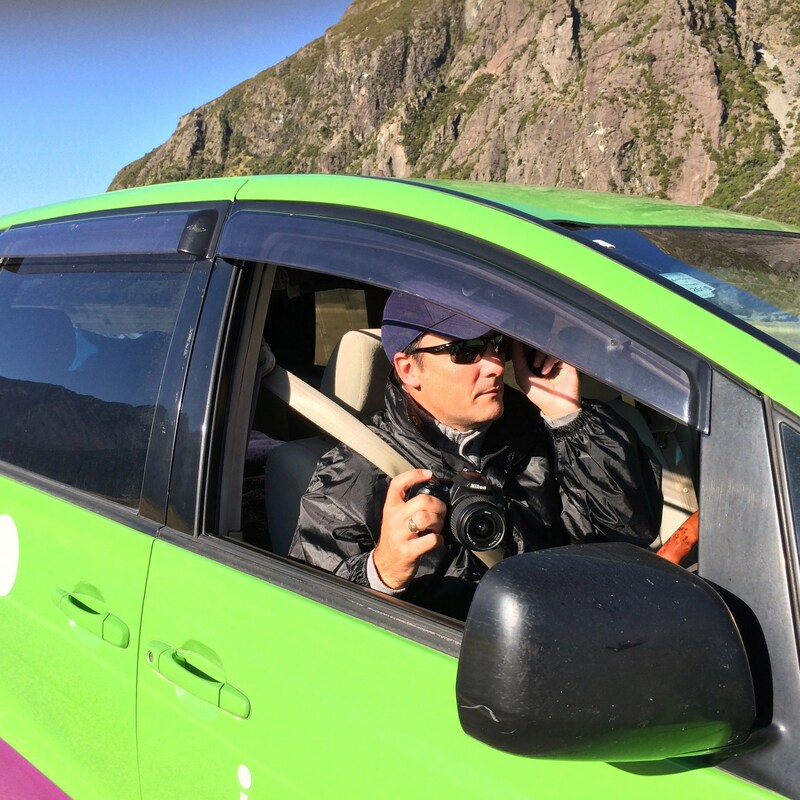 A 5-metre van fantastically equipped and decked out in lime green and purple, which drew hoots of delight on the horns and light flashing from fellow Jucy renters as we passed each other on the gloriously empty roads. It’s a sense of belonging –a club type feel which always drew a triumphant yes from Mike and I.
Mints and sweets for the front of the vehicle – you know you want to! Good cloth for cleaning the windows… You steam up at night woo hoo!! If you have to pay extra for the picnic seats when you hire… Do it!! Always have 1 and 2 dollar coins in a front compartment iof your van for all sorts of reasons. If you don’t take our advice and get an app with offline maps then have the old paper versions to hand. There will be many occasions when trusty 3G is just not bloody trusty, just when you really need it! Buy some strong cord that you can use as a washing line, there is always a nearby tree/fence you can use to string up a line for your towels if nothing else. If your rental company only gives you plastic tumblers, invest in two cheap glass wine glasses at the very beginning on your first food shop, so much nicer Dahling and adds to the pleasure. You know, if you hire the big boy motorhome you will have all of the mod cons, maybe even awnings, freezers, TVs and so it goes, which you may decide is exactly what you want and need, but you are travelling heavy remember. We can see both sides of this fence and determine that we will continue our travels with the luxury motorhome on the agenda at some point… Well you have got to have an opinion eh? 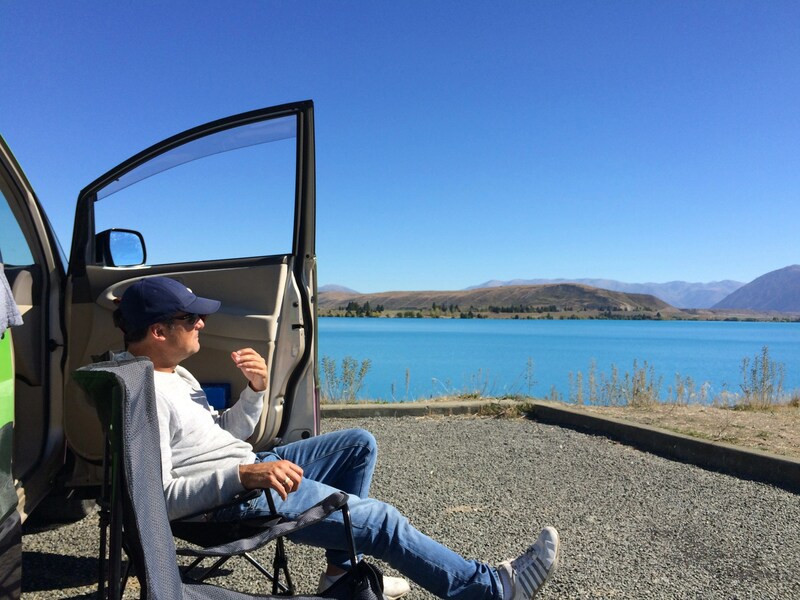 Campervan rental in New Zealand is a minefield for the first timer. Read on for a truly helpful guide and insight from 2 mid-lifers on tour.